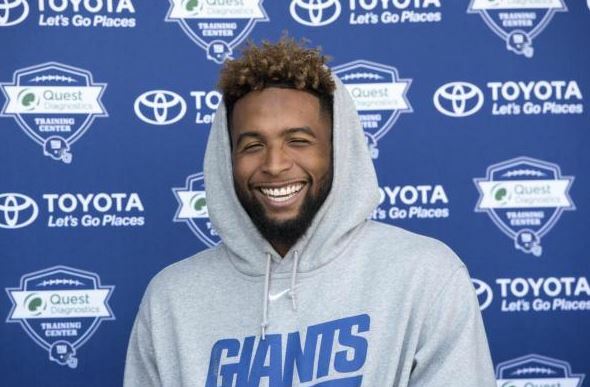 Odell Beckham Jr. has landed another endorsement deal, this time joining Eli Manning as a spokesman for Dunkin Donuts. It’s just the latest endorsement for Beckham, who has become an instant sensation since his breakout rookie year and his three-fingered catch against the Cowboys. Last week, Beckham added Head & Shoulders shampoo to his endorsement portfolio, and now, he has Dunkin Donuts. Beckham also has an autograph deal with Steiner Sports, commercials with Foot Locker and Lenovo, and a deal with nutritional supplement brand Exos.